This column is normally devoted to introducing new members, but we have not had any for a couple of months. However, at the February meeting, we had a very interesting guest. Ann Gilbert heard about our chapter through the national TTN newsletter, contacted Carol Oswald, and attended our meeting, even though she lives in Cleveland. market her first book, The Bumpy Road to Assisted Living: A Daughter’s Memoir. In fact, Renée Covino, Senior Copywriter for Toastmasters bought Mary’s book. She thanked Mary for helping her through some “bumpy roads” with her own mother. 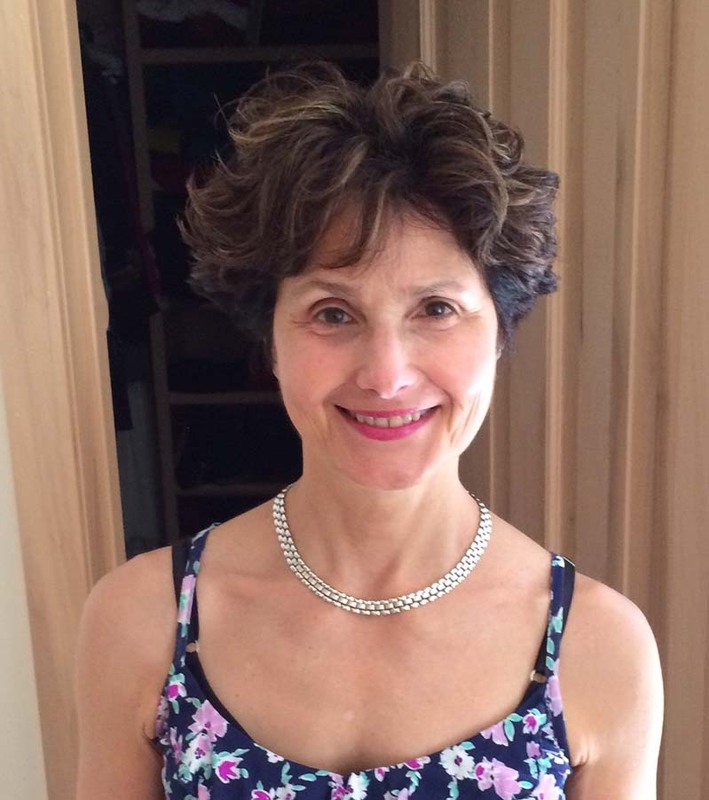 Mary’s article can be read at https://www.toastmasters.org/membership/alumni . have to be a Westerville resident to sign up. The sign-up website is here https://www.westerville.org/services/police/community-services/women-s-self-defense. fundraising event-- the largest in the nation! in NAMIWalks. Your story could inspire others to take action too. Every person who joins the movement helps NAMI reach more people who are affected by mental illness. For information on the Wellness Group, please contact Roberta Kayne or Maureen Severns at robertakayne@gmail.com and severnsma@aol.com. And if you would like to plan an event or have an idea for a wellness event, please contact Roberta or Maureen. Our next movie night is Monday, April 29th. We saw Gloria Bell in March. April movie suggestions are welcome! In April, it might be your choice if you let Mary know, so contact Mary Hiland at mary.hiland@wowway.com. The Writers Group next meeting is on April 5th at 1:00 p.m. Contact Anna Crooks at han.nah@sbcglobal.net for more information. The Ohio Book Festival, this year, will be on April 27th at the downtown Columbus Metropolitan Public Main Library, 96 South Grant Avenue, Columbus from 10:30 a.m. to 5:00 p.m. It is a free event, including the parking. Check out the following website for more information: http://www.ohioana.org/programs/ohioana-book-festival/. Do you have an idea for a new Special Interest Group (SIG) or a Transition Peer Group (TPG)? If so, please contact Anna Crooks at han.nah@sbcglobal.net. TPGs are small groups of 8-12 members, who want to explore life-stage related issues in comfortable, trusting environments. Once formed, the TPGs are limited to those members, who have committed to participate for a specific series of meetings. On the other hand, the majority of our groups are SIGs, which are more casually organized, and invite any Chapter members to participate in their activities as their schedules allow. 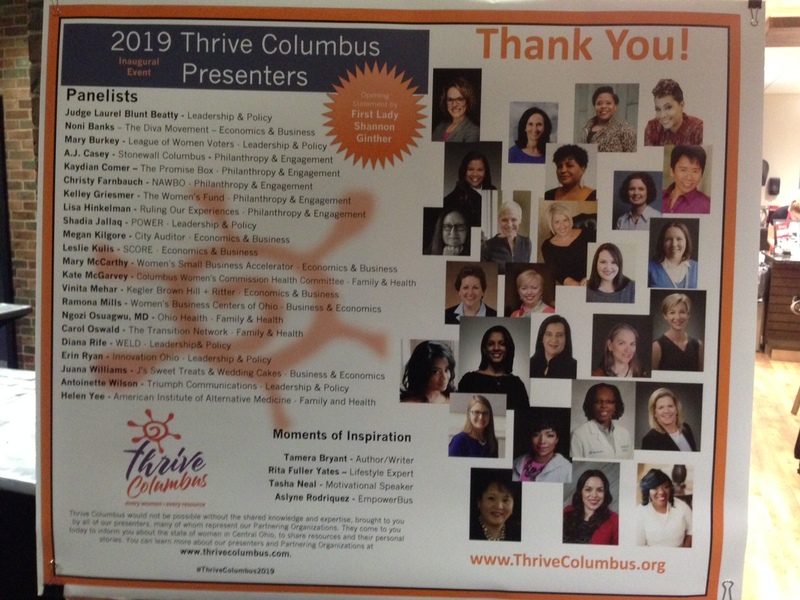 TTN Central Ohio Participated in "Thrive Columbus"
On February 26th, our Central Ohio Chapter was represented at the Thrive Columbus conference at the Fawcett Center. 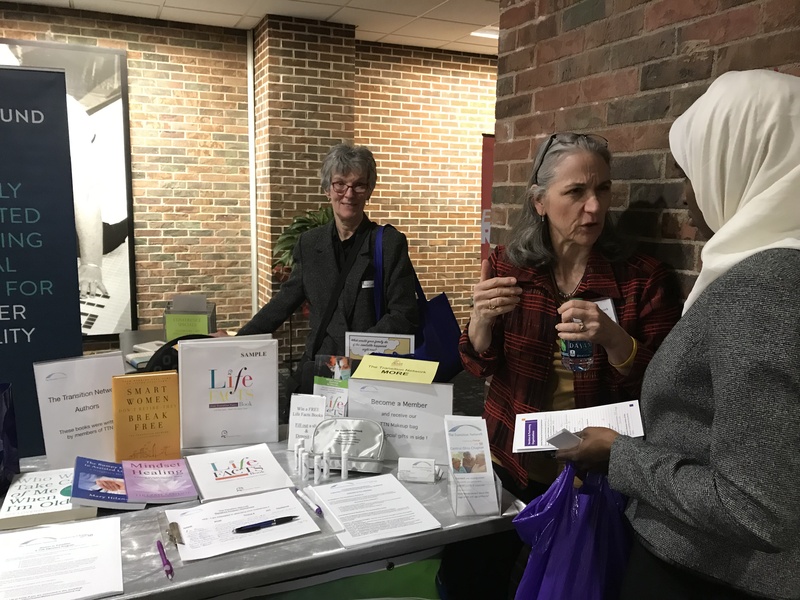 This conference was a first of its kind event that brought together 22 local organizations that support women both personally and professionally. About 240 women attended the event. The audience represented a diverse spectrum of business owners, government employees, and non profit management and volunteers. They were engaged, asked great questions, and were all very appreciative of this opportunity to connect with each other in one place! First Lady Shannon Ginther was the opening speaker. The full day event featured four panel discussions on Economics & Business, Family & Wellness, Leadership & Policy, and Philanthropy & Engagement. Carol Oswald represented TTN on the Family & Wellness panel. TTN had a table with information about our Chapter, our workshop offerings, and featured books by our TTN authors. Anna Crooks, Mary Greenlee and Carol Smith were there to help answer questions about our mission and local offerings. Several of the attendees expressed interest in our Women in Transition Workshop and the On Resilience workshop. We will be looking to schedule these later this year. Mary B. Relotto, the producer and founder of Thrive Columbus and also TTN Chapter member, plans to make this an annual event. She created a web site to share the information about all these women-supporting organizations in Central Ohio at Thrivecolumbus.org.